If there is one thing in this world that can treasure your cherished memories as much as you want, photos must be the first one popping into your head. 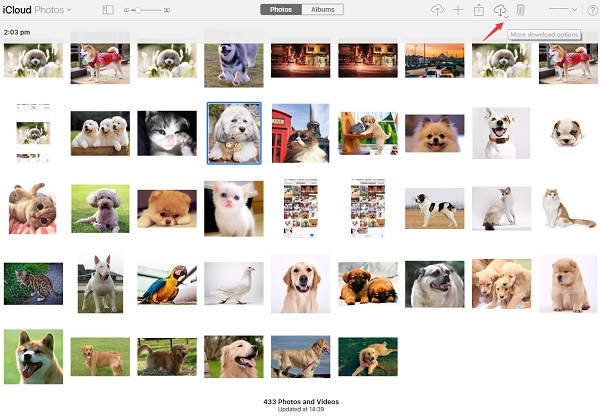 iCloud is a convenient way to sync and backup the photos for us. 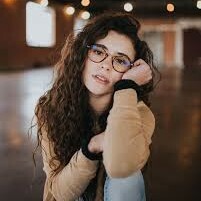 However, it could be troublesome if we are in a place without Wi-Fi or the network is poor for the limitation of iCloud-working under the network. Even though the network we are around is highly developed, this could happen, not to mention there’s only 5GB storage for free. And if you want to get more, you have to pay for it, which is honestly the second choice for most of us. So if we can backup iCloud photos to external hard drive so as to keep them safe permanently, that would be great. I am going to show you three ways to transfer photos from iCloud to external hard drive and you will find a shining point in the last, making your iCloud backup to external hard drive simpler and easier than ever. iCloud is a remote storage developed by Apple. You can use it to sync your photos, email, contacts, documents and email with your Apple ID and password whenever you get online. Now let’s get started with how to backup iCloud photos to external hard drive. Step 1: First of all, you need to know the default download location of your browser, normally you can find it in the setting of the browser. Point the default download location to the external hard drive you want to save the photos to. Step 2: Open your browser to go to iCloud.com and then log in it with your Apple ID and password. 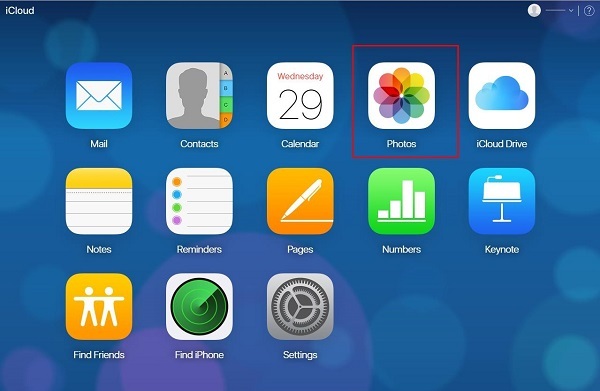 Click the image icon “Photos” to backup iCloud to external hard drive. Step 3: As you can see, all your photos are fully showed in front of you. Choose the one you feel like downloading, then click the cloud icon on the upper right corner. Step 4: As the pop-up window shows, you can choose the way you would like to download, either in an “Unmodified Original” way or in a “Most Compatible” way. Choose the way you like and then click “Download”. And that is it, work done. Now you can backup iCloud to external hard drive. Step 1: Open your browser to go to iCloud.com and then log in it with your Apple ID and password. If it is your fist time to log into iCloud Drive in that device, your iPhone will receive a verification code. Enter it to continue, then click the icon “iCloud Drive” to backup iCloud to external hard drive. 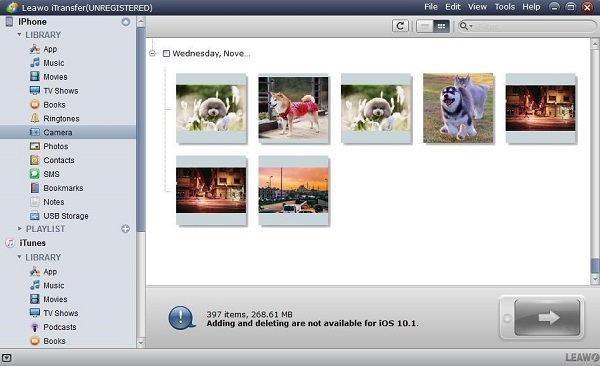 Step 3: Choose the photo you want to save and then click the Cloud image icon to backup iCloud to external hard drive. 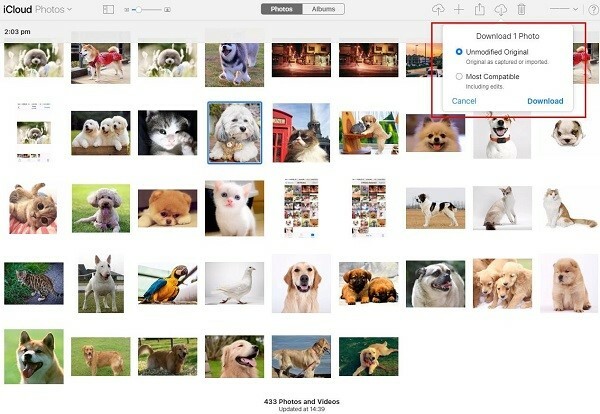 Through these two ways mentioned before, you can download your iCloud photos to backup iCloud to external hard drive, but if you prefer to download hundreds of photos, these probably are not good ways to go. Because you have to download it one by one. I think you have noticed that either. And maybe you are wondering if there is an alternative tool which can perfectly simplify this work rather than driving you crazy. Yes, there sure is. Leawo iTransfer is an amazing management tool for managing your IOS data. It can make it so much easier for you to backup iCloud photos to external hard drive. With its smooth functions among all the IOS devices, you can make your devices well organized just as the way you want. Make iCloud backup to external hard drive perfectly easier than ever. 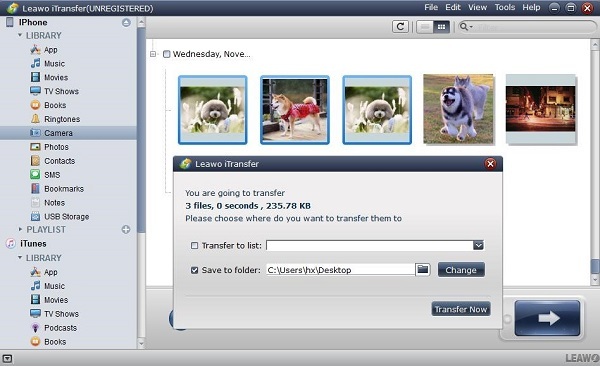 Now follow me to learn how to transfer photos from iCloud to external hard drive via Leawo iTransfer. Simply download Leawo iTransfer from https://www.leawo.org/itransfer/, then connect iPhone into your computer and your phone will be automatically detected. Since iCloud photos all come from iPhone, we can simply transfer iPhone photos to external hard drive. Before selecting photos on this software, you have to go to “Setting > Apple ID > iCloud > Photos” and toggle on “iCloud Photo Library” on iPhone. Now choose “iPhone > LIBRARY > Camera” in the left sidebar of Leawo iTransfer and then you can see all your photos fully showed on the right side. Select the photo you prefer to save, or you can hold “Ctrl” to click the photos when you have multiple selections. Click the transferring icon in the lower right corner and click the tab “Change” to choose the destination place of your external hard drive to backup iCloud to external hard drive in the pop-up window. After that, click “Transfer Now” to backup photos from iCloud to external hard drive. Although it is just a management tool, what Leawo iTransfer can bring you is not only iCloud backup to external hard drive, but the convenience and efficiency to the maximum. I believe it can make a big change to your lives. Giving it a shot is just a matter of minutes, but it will leave you with endless amazing productivity.